With the design of the new Hypervenom Special Edition, Nike have embraced one the most beautiful things that lie inside every footballer: The dream of greatness. 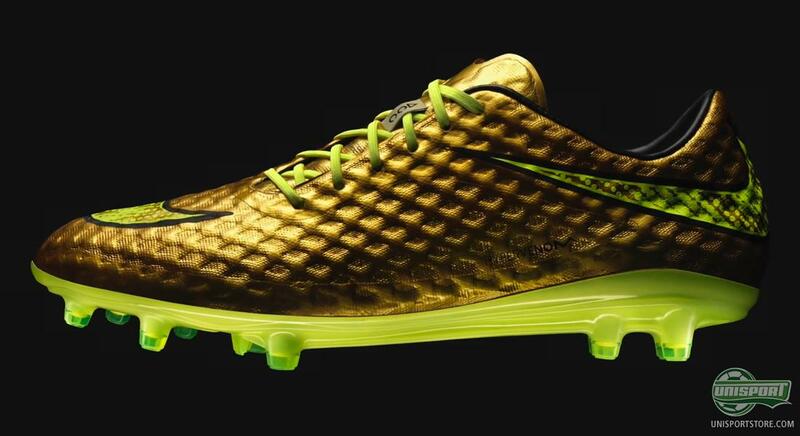 Inspired by Neymar's childhood, Nike have just presented the new Golden Hypervenom. Learn more about the history behind the design right here. What do you do when you are looking for something that cannot be found anywhere? You just make it yourself. Neymar jr. was just 12 years old when he started spray painting his football boots with gold paint. It was always a great dream of his to play in a golden football boot, but as they were not for sale anywhere, he took matters into his own hands. 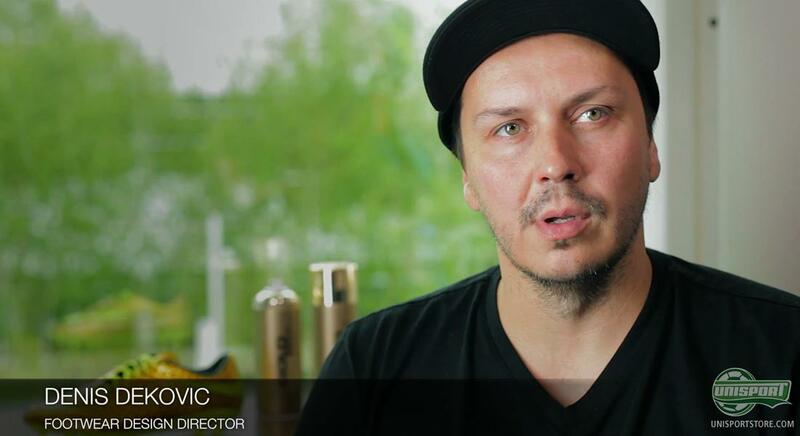 In the video, Footwear Design Director Denis Dekovic explains how they learned about Neymar's history. Actually, they had known about the story since 2012, when Neymar was still playing with Santos. Here they had the opportunity to sit down and speak together, and Neymar told that he at the age of 12 started spray painting his football boots before each game. Fully aware that Neymar would play a central role at the World Cup in Brazil 2014, Nike went back to the desk with the awareness that this story would make of the foundation for a very special football boot, as a celebration of Neymar this summer. It was, however, not easy to get the colour just right, and Nike actually went through numerous tones and shades of the golden colour before they had hit the nail on the head. And naturally Neymar took part in the whole process in order to approve the colour, which first and foremost had to resemble the same gold spray that Neymar used as a kid. 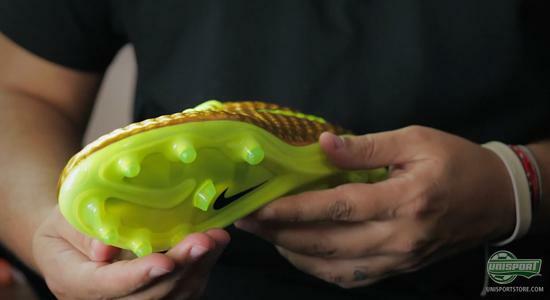 The Hypervenom was presented for the first time back in 2013, and Neymar was among the very first players to wear it. According to Nike, he is the perfect representation of what the Hypervenom stands for: Deadly Agility. The football boot is made to accommodate creative and offensive players, who regard risk taking as a central part of their game. Therefore, the upper is made with a flexibility the gives the player great freedom of movement; combined with an outsole that provides the support needed and firm grip to make sharp twists and turns. Neymar Jr. has gotten his first football boot, just as Cristiano Ronaldo and Messi have, and we are well convinced that this Hypervenom SE Sonho Dourado, is far from the last Neymar Jr. Special Edition. In order to emphasise the inspirational source for the design, this Hypervenom comes with special inlay soles that graphically tell the story of the 12 year old Neymar, who spray painted his football boots in gold, to stand out from everyone else. Now he will no longer have to spray paint his boots before every match – Nike have taken care of it with this Hypervenom SE Gold. 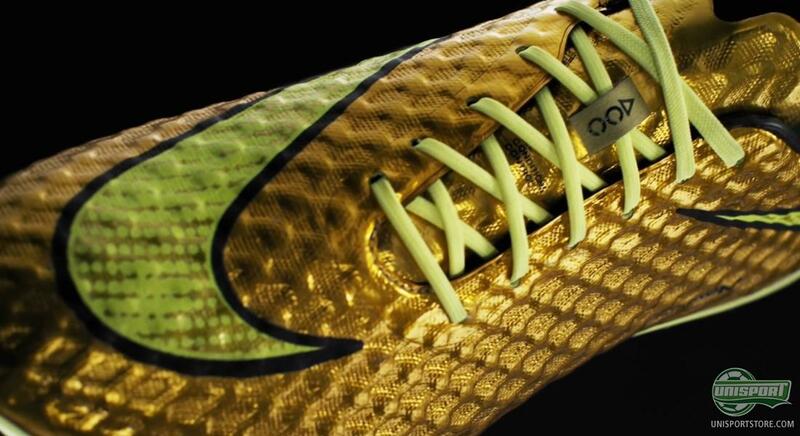 The new Hypervenom Se Gold is available for pre-order from the 26th of June. Until then, we can learn a bit more about the thoughts behind Nike's design for the football boot that first and foremost celebrates Neymar Jr. What do you think of the story about a 12 year old Neymar spray painting his football boots? Have you ever done the same? Take your football passion to a social level and share your thoughts on Facebook and Instagram.